Whether supply of ice-cream by the applicant from its retail outlets would be treated as supply of "goods" or supply of "service" or a "composite supply" and subject to GST accordingly? HELD The supply of ice-cream by the applicant from its retail outlets would be treated as supply of "goods"
Whether the terms of the NIT, in particular its self-styled description as 'lump sum turnkey' contract, renders it as a 'works contract as understood under the GST law? HELD As per the discussion, we find ARA application filed by the applicant is infructuous and hence the questions raised in the application are not answered. Whether GST is levied on the reimbursement of expenses from the lessee by the lessor at actuals and what is the rate of GST applicable to said reimbursement of expenses ? HELD Answer :- Answered is in affirmative. AND As the reimbursement of the expenses constitute composite supply GST would be payable at a rate as applicable to the principal supply. What is the correct classification of Geared Motor supplied by the applicant? HELD Geared Motors supplied by the applicants fall under Tariff Heading 8501. Whether the exemption from payment of GST on reverse charge basis under section 9(4) of the CGST Act / SGST Act for receipt of supply of goods and / or services by us from an unregistered person is applicable irrespective of any threshold limit right from 01-07-2017 vide Notification No.8/2017 dated 28.06.2017 read with Notification 38/2017 dated 13-10-2017? HELD Answered in the negative. The RCM is applicable on the transactions effected from 1.7.2017 to 12.10.2017.
whether the GST paid on cars provided to their different customers on lease rent will be available to it as INPUT TAX CREDIT(ITC) in terms of Section 17(5) HELD 1. entitled to avail ITC on cars (passenger vehicles) which are supplied to customers on lease rent, subject to condition applicable in such supply of services as per notification number 11/2017-Central Tax(Rate) 2.The provision of rule 42 shall also be applicable if required so. 3. At the termination of lease agreement/contract, if the vehicle is not further leased to same or other customer, the applicant shall be liable to reverse the ITC so availed as per law. 4. Such vehicles should abide by the norms and and regulations of The Motor Vehicle Act. in accordance to be registered for commercial use with the Transport authority and not put to own use by the Applicant. Whether it is admissible to take input tax credit in respect of an input (invoice) at any time within the limitation prescribed under Section 16(4) of GST Act. HELD application filed by the Applicant for advance ruling is dismissed as withdrawn. amend notification No. 1/2017- Union Territory Tax (Rate) so as to notify UTGST rate of certain goods as recommended by Goods and Services Tax Council for real estate sector. notify certain services to be taxed under RCM under section 7(4) of UTGST Act as recommended by Goods and Services Tax Council for real estate sector. notify certain class of persons by exercising powers conferred under section 148 of CGST Act, 2017.
amend notification No. 13/2017- Union Territory Tax (Rate) so as to specify services to be taxed under Reverse Charge Mechanism (RCM) as recommended by Goods and Services Tax Council for real estate sector. amend notification No. 12/2017- Union Territory Tax (Rate) so as to exempt certain services as recommended by Goods and Services Tax Council for real estate sector. amend notification No. 11/2017- Union Territory Tax (Rate) so as to notify UTGST rates of various services as recommended by Goods and Services Tax Council for real estate sector. Clarification with regards to the taxability of the Fabric and Furnishing Cloth as covered under Entry 101(a) and 101(b) of the Schedule-C appended to the MVAT Act. Grant of refunds of the amount deposited by way of security deposit at the time of Voluntary Registration under MVAT Act, 2002 . Whether the execution of "Livelihood for Artists and Local Art Hubs" as an administrative agency fall under the taxable services? HELD The activities performed by the petitioner being a pure service, comes under the SI. No.3 of Notification No. 12/2017 Central Tax (Rate] dated 28-06-2017 and Is exempted from GST. i) Whether the activity of Bus Body Building on job work basis, on the chassis supplied by the customer, is supply of goods or supply of service and Rate of tax ? HELD is supply of service and It is a service covered under SAC Code 9988 and thereby attract 18% GST. Whether the applicant Is eligible to take credit of the input tax credit as defined in Sec.2(g) of the GST (Compensation to States) Act, 2017 of the Cess paid on purchase of motor vehicles used in providing services of transportation of passengers or renting of motor vehicles given the fact that as a matter of business policy, the said motor vehicles would be initially used for supply of rental business services and disposed of after three or four years of such use. HELD applicant is eligible to ITC of entire amount of Compensation Cess paid on the purchase of vehicles used for rental business. Such ITC claimed shall be reversed every month equally apportioned over the prescribed period of 60 months to the extent of usage of exempted supply of service. As per Rule 43(c) of GST Rules, applicant is eligible to claim ITC of Compensation Cess paid at the time of purchases of Motor Vehicles and need to reverse a proportionate amount of ITC every month based on the turnover of rental service business and utilize balance ITC for discharging liability of Compensation Cess arising at the time of sale of such vehicles. Whether the applicant, engaged in providing management consultancy services, is falling within the definition of the term "intermediary' as per Sec.2(13) of IGST Act, 2017? HELD services provided by the applicant falls under the SAC code 998311 management consultancy services and does not fall within the definition of the term "Intermediary" as per Section 2(13) of IGST Act, 2017.
i) Determination of GST liability with respect to goods provided free of cost by the Distributors of M/s Polycab Wires Private Limited to KSEB for reinstating connectivity in flood ridden areas; and admissibility of input tax credit in relation to such goods. HELD In this supply, since the consideration is not wholly in money, Rule 27 of the CGST / KSGST Rules would apply for valuation. After the goods are supplied to Kerala State Electricity Board, distributor would raise claim to the applicant who will reimburse the value to the distributor. This being the case, the distributor would be entitled for input tax credit (ii) Applicability of Sec. 17(5) of CGST Act, 2019 on CSR expenses. HELD The applicant distributed electrical items like, switches, fan, cables etc. to flood affected people under CSR expenses on free basis without collecting any money, For these transactions input tax credit will not be available as per Sec.17(5)(h) of the KSGST and CGST Act. Tax liability under GST for the tour packages, which are providing to guests by way of separate services like accommodation, serving food and beverages, service of authorized guides, trekking accessories etc. against separate invoices. HELD In case where a supply involves supply of both goods and services and the value of such goods and services supplied are shown separately, the goods and services would be liable to tax at the rates as applicable to such goods and services separately. (a) What is the HSN code applicable and rate of tax to sun-cured "Tobacco leaves" known In Kerala as "Kannipukayila" purchased from fanners of Puliyampatti areas of Tamil Nadu used only for chewing by consumers in Kerala? HELD Sun-cured tobacco leaves comes under the HSN Code 2401. Tax Rate 5% GST (b) Is it permissible in law to charge a lump-sum price in the invoice without mentioning the quantum of GST? HELD As per Rule 46 of SGST Kerala Rules, tax invoice issued by a registered person shall contain the particulars of amount of tax charged in respect of taxable goods or services. Removal of Difficulties Order, 2019.
amend notification No. 02/2019- Central Tax (Rate) so as to provide for application of Composition rules to persons opting to pay tax under notification no. 2/2019- Central Tax (Rate). amend notification No. 1/2017- Central Tax (Rate) so as to notify CGST rate of certain goods as recommended by Goods and Services Tax Council for real estate sector. notify certain services to be taxed under RCM under section 9(4) of CGST Act as recommended by Goods and Services Tax Council for real estate sector. amend notification No. 13/2017- Central Tax (Rate) so as to specify services to be taxed under Reverse Charge Mechanism (RCM) as recommended by Goods and Services Tax Council for real estate sector. amend notification No. 12/2017- Central Tax (Rate) so as to exempt certain services as recommended by Goods and Services Tax Council for real estate sector. amend notification No. 11/2017- Central Tax (Rate) so as to notify CGST rates of various services as recommended by Goods and Services Tax Council for real estate sector. amend notification No. 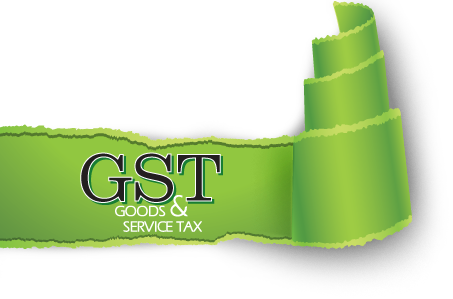 1/2017- Integrated Tax (Rate) so as to notify IGST rate of certain goods as recommended by Goods and Services Tax Council for real estate sector.